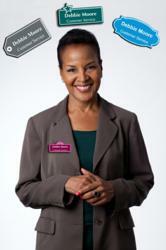 MyNameBadges.com, a leading distributor of name badges and templates, has launched a new line of Showcase name badges. These new badges provide an attractive and classy touch to badges for name identification. The new line features a variety of designer name badges with multiple enticing designs. The shapes are truly one-of-a-kind, from shell forms, star shapes, jigsaws, hearts, and more. Each badge comes with customizable wizards that allow users to input names and titles with the option to adjust font size and style if desired. Numerous fonts and color options are available for aesthetic appeal, and there is no extra charge to add the second line of text. This entry was posted in Which Open Source Blog and tagged Badges, Launches, MyNameBadges.com, Name, Showcase on January 9, 2013 by Administrator.